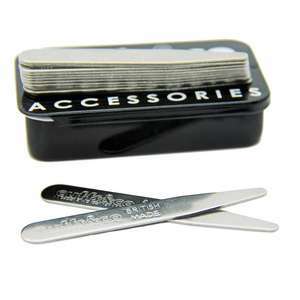 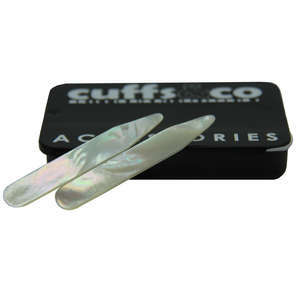 Our best value collar stiffener set, containing our British made stainless steel collar stiffeners. 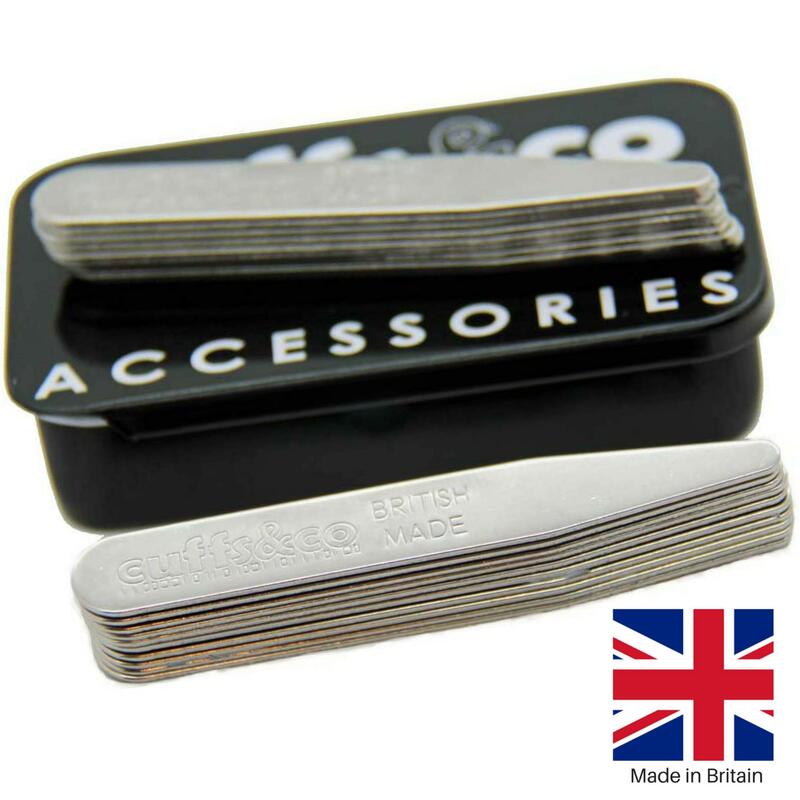 Our metal collar stiffeners are made to a high standard in the same factory used to manufacture tank parts for the British Army. 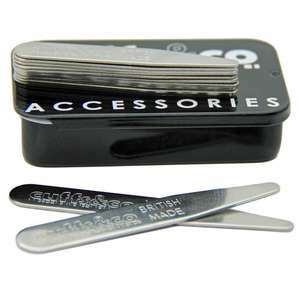 British made, using the latest innovation in metal cutting. 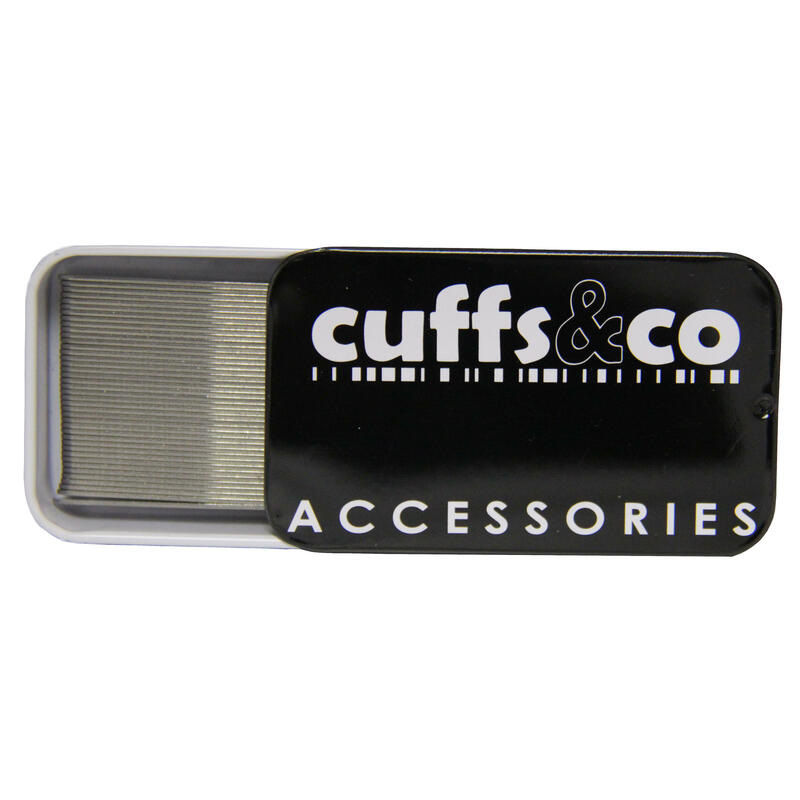 The machine is more commonly found making more expensive components like filters for Army Tanks and parts for the space industry. 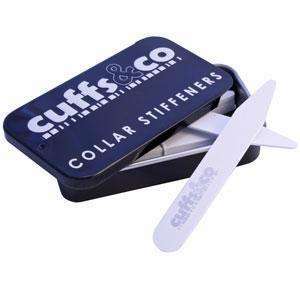 The stiffeners are finished to smooth the edges, minimising any wear on your favourite shirts.